Hola peeps! 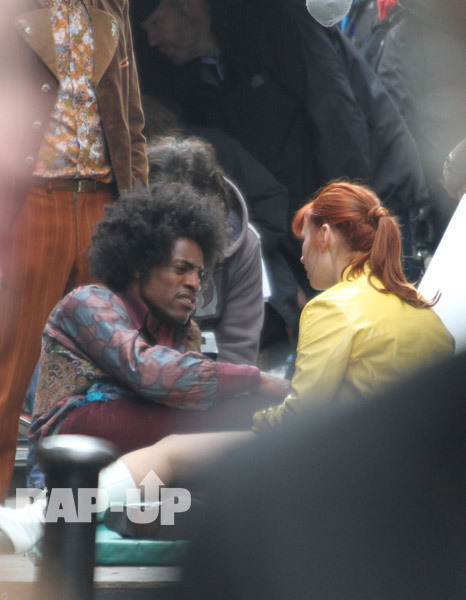 I stumbled upon these pics of Andre 3000 in costume, as playing Jimi Hendrix in an upcoming movie about his life. 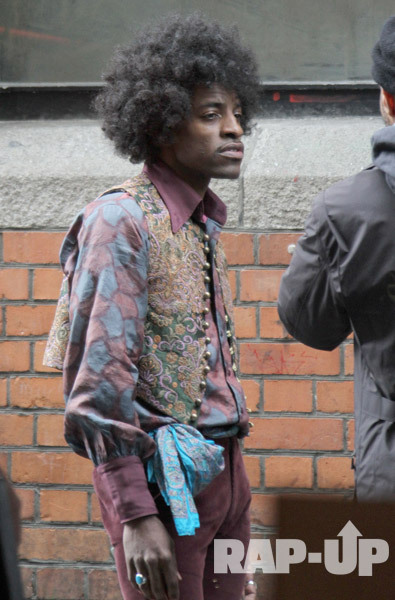 Well from what I see he has definitely nailed Hendrix’s eclectic style. 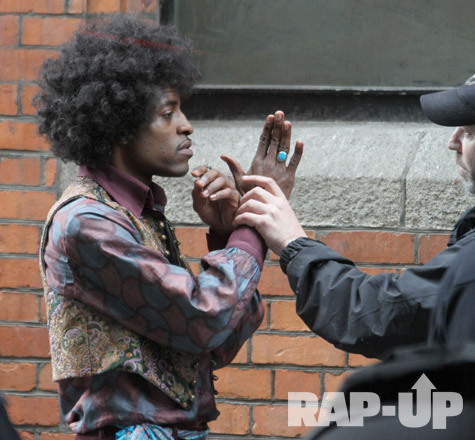 Oh and peep the fro…that is dead on Jimi. This is a perfect match up for Andre 3000, I am sure that he will do well! I can’t wait for more details of the movie to come out. What about you?